Florian Guillermet, Executive Director of the SESAR Joint Undertaking. In this article, Florian Guillermet, Executive Director of the SESAR Joint Undertaking, describes how SESAR remote tower services are helping regional small and medium-sized airports to stay open for business, and how this technology can be deployed in other airport environments. Regional small and medium-sized airports are lifelines to regional economies, ensuring connectivity and the mobility of people, goods and services. However, these airports, which may deal with only a handful of flights daily, are under growing financial pressure to find ways to maximise their operations and services while reducing fixed costs. One possible cost efficiency gain is air traffic control service provision, since the traffic volume in these airports often does not justify the cost of maintaining coverage around the clock. And yet, these airports need to continue to offer airlines such requested services in order to stay competitive. Remote tower technology draws on a range of advanced technologies, including high-definition, infrared and pan-tilt-zoom cameras to provide visual surveillance augmented by available radar and flight data to deliver additional information in real time. With this sophisticated technology, an out-of-the-window view from the tower is captured and reproduced at a remote facility with the level of detail and accuracy required for controllers to provide safe and expeditious air traffic control services to visual flight rules (VFR) and instrument flight rules (IFR) traffic. The visual image reproduction is overlaid with information from additional sources, such as secondary radar and automatic dependent surveillance-broadcast (ADS-B), which not only enhances the visual image for use in normal conditions, but provides an enhanced capability for low-visibility conditions. Services are further enhanced through the integrated use of advanced features such as object tracking, motion-based alerting, infrared vision, digital image magnification and hotspot monitoring. In addition, the controllers have remote access to all the necessary controls, including communications, lighting, airport and flight data, as well as meteorological information. Clearly these cutting-edge remote technologies open up many new possibilities; however, ATM modernisation is not about technology for the sake of it. Instead it is about improving operational performance, and matching operational problems with the best possible technology solution. Furthermore, this concept represents a significant change in the way air traffic services are delivered at airports, so safety concerns must be clearly and unambiguously addressed. This is why at SESAR we have taken a stepped approach to the development of remote tower solutions, responding to the real customer business needs, as well as the operational and safety concerns of stakeholders. At the same time, keeping the human firmly in the loop of our research on remote towers has been key; remote provision of airport air traffic control requires the same controllers with the same capabilities and licensing as at conventionally-manned airports. In a safety-critical industry like ATM, no technology solution can leave the factory without meeting the highest safety standards and receiving a thumbs-up by supervisory authorities, air navigation service providers (ANSPs) and controllers. At the end of the day, these ANSPs and controllers have to trust the technology and feel 100% confident that they can provide flight information and air traffic control services remotely to the same level of safety and efficiency as when performed in a tower made out of bricks and mortar at the airport in question. SESAR plans to deliver four types of remote tower air traffic service solutions. The first among them is the provision of remote tower air traffic services to a single airport with as few as five flights arriving and departing daily. In a series of real-time simulations and passive shadow-mode trials (i.e. the controllers participating in the validation ‘shadowing’ the instructions given by the operational controllers in the real tower at the airport), controllers used high resolution imagery and enhanced functionalities to provide advisory services to a remote location. Conclusive validation results prompted Sweden to develop and implement the world’s first remotely operated tower at Örnsköldsvik Airport, controlled from the Sundsvall ATC facilities over 150km away. Örnsköldsvik offers vital transport links to local residents who wish to reach Stockholm and further afield. But with just 80,000 annual passengers, the airport cannot justify the cost of full-time control staff. Now, an 80-foot tall mast housing 14 high-definition cameras sends the signal and images back to the controllers at Sundsvall in real time. The facility was fully certified by the Swedish Aviation Authority in 2014, and plans are underway for two more Swedish regional airports to implement the SESAR remote tower solution. The next logical step was to see if the single remote tower set-up could be used for regional airports with medium-sized traffic volumes. This category of airport is faced with similar challenges as their smaller counterparts in ensuring service continuity or even expansion since conventional towers can become too costly to run over time, or if the number of flights becomes insufficient. Work is underway on a second SESAR Solution with the installation of remote tower technology at Saarbrücken Airport in southwestern Germany near its border with France. The airport reports handling 12,324 scheduled, charter and non-commercial aircraft movements in 2012, and 407,650 total passengers in 2013. Validation work is still underway complemented by a large-scale demonstration in Ireland, and a further demonstration taking place in the Netherlands, Germany and Sweden; these will support the delivery of this enhanced SESAR Solution by the end of the year. Remote tower installation at Örnsköldsvik in Sweden. Remote tower technology draws on a range of advanced technologies, including high-definition, infrared and pan-tilt-zoom cameras to provide visual surveillance augmented by available radar and flight data to deliver additional information in real time. Having proved that controllers can safely provide air traffic services to an airport remotely, a third SESAR Solution provides simultaneous remote tower air traffic services to two low traffic density airports from a single location. During validations, a control facility at Bodø in Norway provided controllers with an out-of-the-window view and working position that supported Røst and Værøy (technically a heliport), and allowed the controller to switch seamlessly and provide aeronautical flight information services to both locations. The almost complete darkness and freezing winter weather conditions really put the technology to the test, particularly the infrared features. Based on the success of this validation work, Norway now plans to deliver flight information services to as many as five small airports from one central facility at Bodø starting in 2017. A large-scale demonstration in Italy also aims to provide complementary proof of the feasibility of the solution, with the simultaneous management, in low traffic conditions, of two airports (Milan Linate and Milan Malpensa airports). Similar and complementary trials are also happening in Budapest, Hungary, where air traffic services are being demonstrated at a multiple runway airport. Given that the first beneficiaries of remote towers are smaller regional airports, it made sense for SESAR to test the technology first at these locations where the demand was clear and the traffic generally lower. However, there is no doubt that the technology has potential for use at busier airports, for example as a contingency solution for any outages of the services provided for at the tower. The need for contingency towers is, as such, not new, and facilities already operate in many places such as at London, Brussels, and one near completion at Budapest. They provide operational resilience and safety assurance, should the primary tower be compromised. The SESAR Solution brings additional technology into play, and addresses issues including accessibility, training and security to deliver more resilience and a higher efficiency in degraded situations. Shadow-mode exercises looked at exactly how a SESAR remote tower solution can provide contingency services at medium-sized airports, notably in this case Göteborg in Sweden and Costa Brava Airport in Girona, Spain. The exercises also assessed the transition time necessary to switch from the primary tower to the contingency facility, what level of service can be provided in the absence of an out-of-the-window view, and what information can and needs to be accessed by controllers. SESAR members and partners have devoted significant resources, energy and time to get this far within the first wave of research and development (SESAR 1 2008-2016). But as innovation is an infinite process and with the launch of SESAR 2020 (2016-2020), the next wave of R&D, the plan is to take the technology even further in order to respond to the operational performance needs articulated by stakeholders. Particular focus will be placed on understanding if and how many airports could be controlled by one single controller, the tools needed, the controller working position layout and functions, with integrated short and long-term planning tools. Research will also look at what additional information is required and operational procedures required for timely and easy switching between airports to deliver air traffic services. Similarly, modules that will increase controllers’ situational awareness and provide for additional alerts for collision avoidance will also be explored. Different types of airports in terms of traffic volumes and types of traffic will be used as test beds for the research, with particular consideration for airports with general aviation, rotorcraft and drone traffic. Working in tandem with the operational and technical systems development, the programme will of course investigate, in addition to safety, if any additional checks and balances need to be in place to safeguard against cybersecurity threats. So, in a relatively short period time, huge progress has been made on remote tower technology. The potential of this technology goes beyond the original rationale for its development. Larger airports are coming forward expressing an interest in this technology as a supplementary non-cooperative surveillance system for input to advanced-surface movement guidance and control systems (A-SMGCS). In all cases such techniques could be used to cover blind spots and be decision support tools during shortfall conditions. Furthermore, larger airports that currently deploy a manned secondary tower facility could use remote technology to reduce the cost of providing such a facility without compromising safety or efficiency. Thanks to the results of SESAR’s incremental approach, considerable interest has been generated around Europe and further afield. 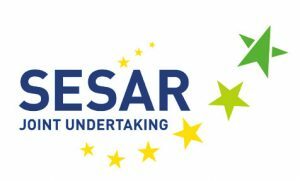 In SESAR 2020, the number of sites and the number of ANSPs participating in the programme to further develop and deploy the concept has grown considerably and has spread to all corners of Europe. SESAR’s remote tower development programme looks set to revolutionise the way that air traffic services are delivered across Europe, while increasing flexibility and resilience without compromising safety.